So, I have a confession to make.... I didn't actually live in the 70's. But, my husband did live through the 70's and when I asked him what he would consider to be a quintessential 70's appetizer he said, without hesitation, celery boats. Celery boats! I immediately started visualizing ants on a log and celery with that disgusting canned pimento cheese spread on top. Yuck! But then Emily and got to thinking and we came up with a gourmet version of the old celery boat. With quality blue cheese and a little spice, this boat is sure to float any party. Cut the celery into 3 inch pieces. 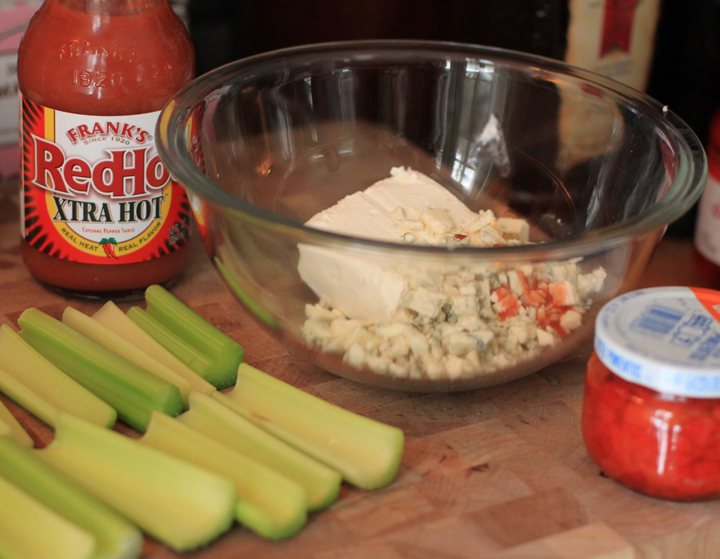 Mix the cream cheese and blue cheese together and add Frank's Red Hot to taste. 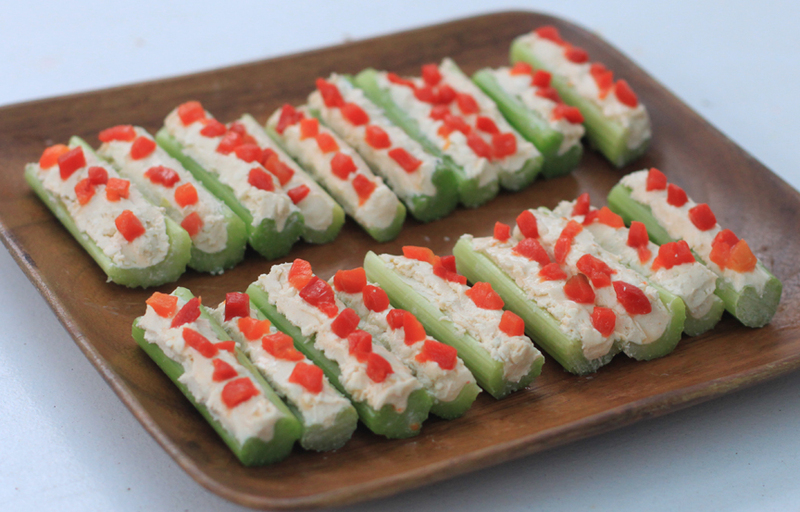 Spread onto the celery and top with the diced pimentos.